Please do not misunderstand what I am saying here, I have ZERO desire to see this nation plunge into a cycle of violence, to see what could quickly escalate into a full-blown civil war, but if we do nothing now, I can just about promise, one will come later, maybe one with our ability to control it much less then it is now, either we stop this cycle now, or lose this nation as we know it. We have built this nation on the peaceful transfer of power, that has gone on since Washington stepped down from office and Adams took his place. We saw this with Obama when Trump came into office, at least with outwards appearance, but did Obama and his team set up a coup behind the scenes to try to give themselves a security blanket when they saw Trump had won? We have seen sore losers, a great example is when Clinton’s left, they wanted Al Gore to take their place when that did not happen. The problem with this, and it could have grown very serious, what if we had gone through a national emergency when they took office? The computers were down, phone lines cut, would have hampered the response in a great way of the US to respond, this was not just a mere prank, this was something that could have adversely affected us all. 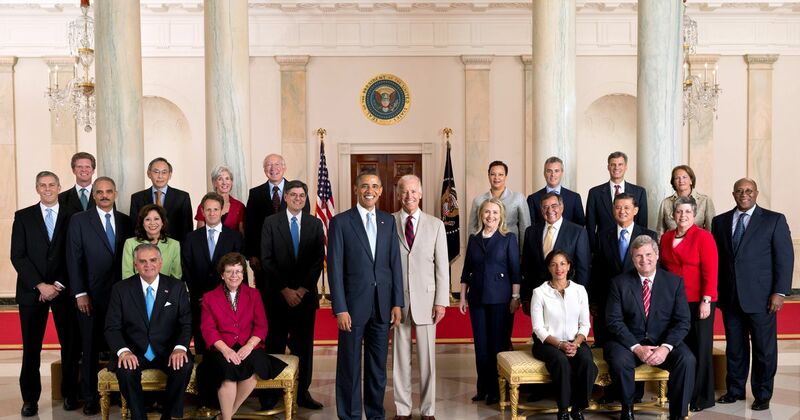 Sadly we saw this go on through the Obama administration, but they did not put in place pranks as we saw with Clinton and his outgoing administration, rather they tried to set up a soft coup from within, turns out the Democrats here had graduated from childish college like pranks to a criminal intent, to try to unseat a sitting president of the US. The question is how high did this go? One thing I have to be concerned about, how could have the FBI, or any organization has taken steps to spy on a political opposition party running for president without getting some type of approval from the highest placed person, and that would be Obama. What we have seen here is something that has never been done before, spying on an opposition party to try to change the results of an election, then when the results did not turn out the way you wanted, to move to undo what you felt was a wrongful result. This is not a harmless prank, this is an act of open sedition, the people involved should be classified as traitors to the US, they were trying to topple a duly elected government, that has never been done in the history of this nation. And what is the left’s response to this? instead of impeaching Trump why not impeach Barr? And the people from the leftist propaganda sites posing as news? We had the left mock Trump for saying that his campaign was spied on, then when they are caught lying, they don’t retract their statement, rather, they double down on their lies. So how far up should this investigation go? I would say it goes as far up as it can, look at anyone in the last administration involved, they need to be charged, does not matter if it goes all the way the line to the top, President Obama. But we need it to not stop there, there is also evidence that other nations were involved, close allies, I must ask, if the left said that Russia interfering with our electoral process was an act of war, what is it when our closest allies are doing this? What should the consequences be? 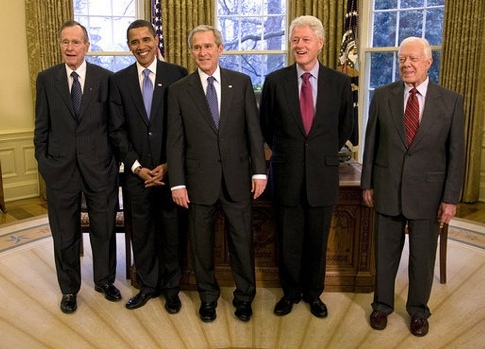 We have witnessed with these men shown above a peaceful transition from administration to administration, there are a few missing here, Reagan, Ford is not shown, but they too stepped down when their day was over, so what made this last administration think they had a right to interfere? And what did the players, from the bottom to the top think, are they above the law? If Barr starts this investigation, finds evidence, he needs to stop, bring this to the president, then set up a special council to investigate this, to do so with the same vigor that we saw with the Mueller investigation. This type of thing was tried once before, and it never got even close to the level this did, that was with the Nixon Administration. We saw a president resign, disgraced, some of his cabinet and the inner team end up in prison, and rightfully so, they broke the law. 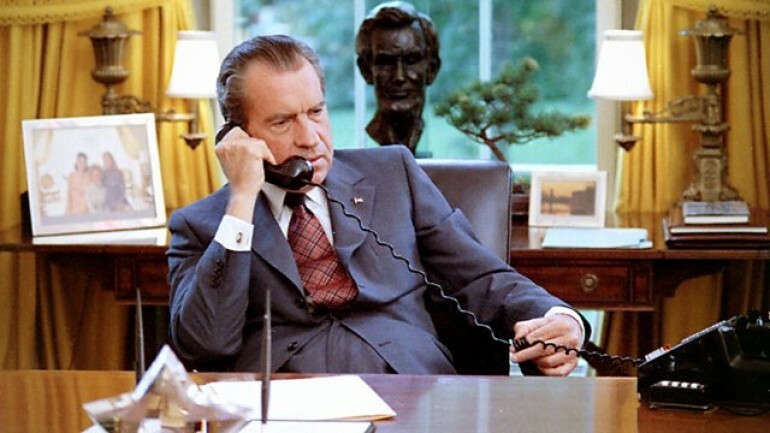 Nixon tried a break in to get political dirt, he had to resign before he faced impeachment. Obama and his administration, along with the Clinton campaign paid to get dirt on Trump, used this material, that even the one gathering it knew it was a fabrication, it was gotten from the Russians, the ones the left is screaming about interfering with the election in 2016, they used this material to spy on the president, set up a investigation to try to remove him from office, sidetracked him and have used this with the press to none stop attack him for 3 years now, this is much much worse. No ex-president has ever faced impeachment in our history, but today we need to look at this not only for Obama if he is found to have a hand in this, but also everyone in his administration as well. You may ask why what would be gained from this? The answer is simple, such a move prohibits them from ever holding any public office again, this is the least that is needed. We also need to see someone, and maybe a whole lot of people end up in prison. I know some are going to say Obama should end up in such a way if he is found involved with this, I happen to disagree, I think a disgraced ex-president is enough, then have any sentence given, Trump commute it, let him live in his disgrace, would taint his reputation for the rest of history, just as Nixon’s was, but would uphold the dignity of the office. Pelosi Claims: Impeachment Is Not Worth Her Time, But Is This Really The Reason?